Stunning Estate Home in the sought-after exclusive gated community of Greystone Legacy~ Corner Lot/Grand Castle Gate Double Door Entry! 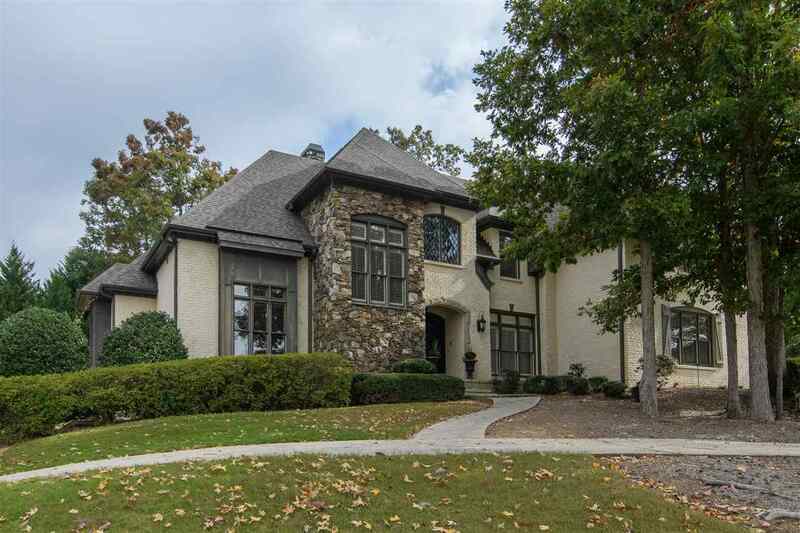 Three full levels of masterful craftsmanship with exquisite finishes throughout this 6 Bedrooms, 5 Baths & 1 Half Bath home. Executive Study, Formal Dining, and Family Room w/built-ins. Eat-in Kitchen has Wolfe gas stove, double oven, and sub-zero refrigerator. Wood flooring and tile throughout the main level, beautiful moldings, tray ceilings, granite counter-tops, and stone fireplace. Gracious foyer with formal staircase and Pajama stairs. The full finished basement features a kitchen, guestroom, full bath, a Family/den, and a Theater Room. Perfect basement ideal for entertaining. Laundry room on main level with sink and second laundry room upstairs. Upper and lower garages. Opened Deck and main level covered patio as well as lower level patio area. New Roof & new HVAC unit. DON&apos;T MISS THIS GORGEOUS HOME in a well-kept Golf Community. Driving Directions: Hwy 119 To Greystone Legacy Entrance. Proceed To The Guard Gate. Turn Right At The 4th Stop Sign Onto Legacy Drive. The Home Sits On The Corner At The Stop Sign On Legacy Drive And Trinity Court.